Little boys Fohawk style is quite an unusual but trending look in recent days. Generally, little boys start wanting to look cool in front of their friends at some stage of their childhood and this desire lasts long after they have reached adulthood – extending to showing off to their peers, colleagues and many more. However, there are indeed several little boy fohawk styles that we would love to suggest your young boy try during his next hairdresser visit. These looks will definitely charm the shoes off your little boy’s peers and girls! Just to make it clear, you might also know fohawks as faux hawks, which are basically fake Mohawks. Why are they known this way? It’s because fohawks resemble the Mohawk hairstyle, but the sides are never shaved in fohawks. These styles are more sought after by little boys than Mohawks due to its cooler and more socially accepted appearance. Below, we review several fohawk hairstyles for little boys that you might want your little boy to try next. The sides are trimmed just short enough for the faux hawk to appear super contrasted in this picture. To create this fohawk hairstyle for little boys, you just need to comb your hair on the top towards the middle and secure the slightly spiked up look with some hair gel. As you can see from the picture above, pairing the fohawk up with stylish clothing is a very good choice! While most faux hawks are focused around the center, this cute baby boy’s hairstyle isn’t! The sides are still trimmed short like a typical fohawk, but the long hair at the top is all spiked up towards the front only. You might notice that the gentle colors of this little boy’s fohawk give him a cute and adorable vibe despite fohawks being hairstyles that should be tough and cool instead. Hair colors do matter! Is this little boy’s hair color blonde, brown or both? We can’t really tell, but this slightly messy fohawk style sure suits him well! Fohawk hairstyles suit toddlers of various face shapes – even slightly square-ish ones like the boy above. Having different color shades in your hair is fine for a fohawk as you can see in this picture as well! You know the stereotype! Blonde hair goes well with blue eyes, always. This is true even for little boy fohawk styles! Little boys can look just as cute and attractive with fohawks paired with blue hair. For this boy, the hair on his sides is trimmed a little shorter than the other little boys pictured above. The results? A more spiky-looking fohawk! Most little boy fohawks are a little more organized and neater than this. However, that does not mean that it’s not a bad look! A messier fohawk usually gives a sporty appearance to the little boys. The same goes for this one – he fits right in with his sporty attire and sports shoes, doesn’t he? This fohawk style for little boys will suit the more active, sporty ones better than the others. Even little boys with round faces can pull off a fohawk! For little boys with round faces, the spike on a fohawk will give the appearance of a longer face to them, balancing out their features. This affects both boys with light-colored and dark-colored hair quite equally, although it usually looks better on lighter hair shades. That is if your little boy has a round face! Fohawks with dark colored hair suits longer face well! Somehow, a fohawk would not elongate the little boy’s face as you might expect it to. Fohawks do not need to be completely neat either – baby hairs over the little boy’s foreheads give them a cuter look that boys this age should have! If you thought that soft-textured hair cannot get a fohawk style, you are most definitely wrong! Even hair textures as soft as this kid’s can be coaxed into a little fohawk! For temporary ones, you only need to apply some water to make the spikes stand. Otherwise, feel free to use some hair gel as you would on a regular basis! Are there any special events happening where you stay? You can dye your little boy’s fohawk to match the event’s theme colors! 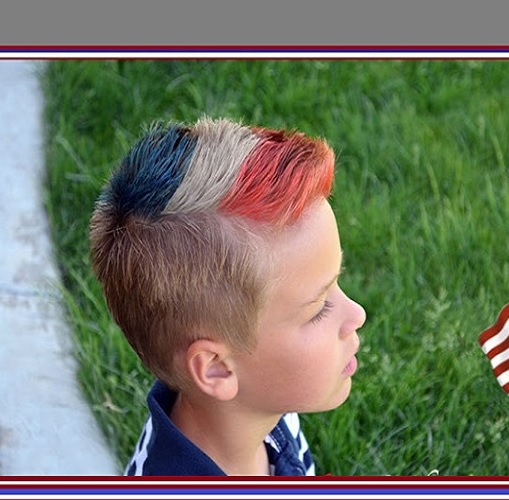 As an example, the boy pictured above has his fohawk done in colors similar to the thematic colors of the USA flag, presumably for the National Day. Get temporary hair dyes if you prefer to have less permanent colors! If you have no favorites for fohawks, feel free to settle for this neutral fohawk style for little boys! You can just set up the fohawk style early in the day and leave it be for the remaining hours. Let the little boy’s hair go all-natural with how messy it decides to be. Isn’t this natural-looking fohawk a charming look? 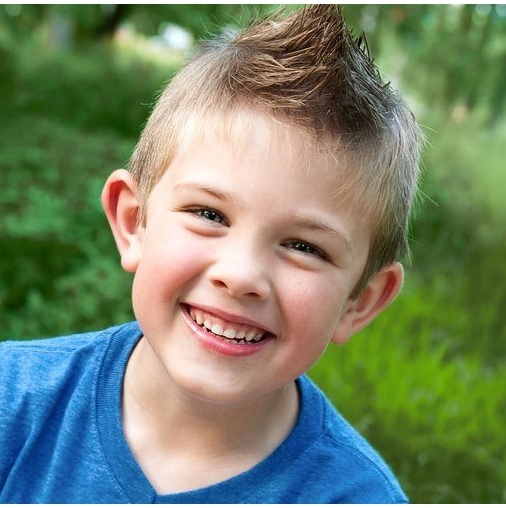 Do you favor any specific fohawk style for little boys that we have compiled for you above? We sure hope that you did! If you are not looking for fohawks, in particular, check out some of our other available hairstyles for little boys. You will find that there are other lovely hairstyles suitable for little boys for all ages! 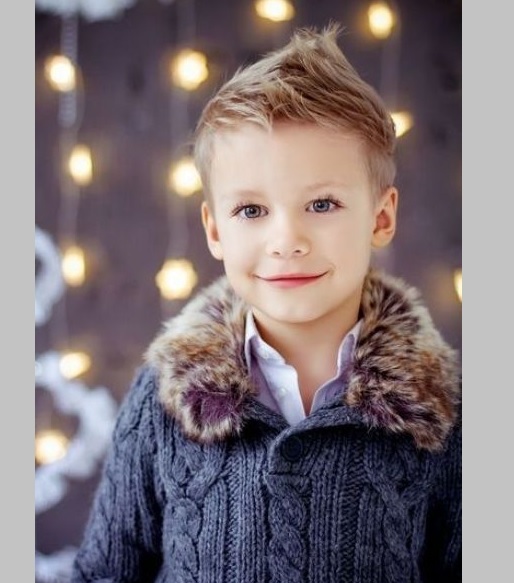 Meanwhile, if there are any nice fohawk styles for little boys that you like from this post, you can bring a picture if said hairstyle to the hairdresser! This will make the communication about your desired haircut much easier than without!